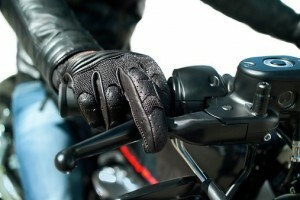 How do my motorcycle gloves protect me? Not everyone wears protective gear, particularly in Australia, where it can get far too hot to wear an extra layer of clothing. Gloves could be the first thing to go when it warms up – they’re small, and even insignificant to some. However, they are actually pretty important when you’re out of the road. 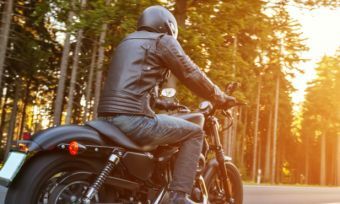 Stresses to the body can dramatically affect your ability to concentrate on the road and on hazards around you while riding – and 58% of the 423 motorcyclists in Canstar Blue’s recent survey said that Australian roads are dangerous for motorcyclists. Furthermore, 23% of survey respondents said that they had been involved in a collision with another vehicle. Cold weather can both physically and mentally affect riders; not only does the cold make you lose feeling in your hands, thus reducing your ability to operate your bike, but being cold and uncomfortable is draining to the body. All of that can become a distraction while out on the road, risking an accident. To protect your hand from the cold, glove certainly come in handy, but they also have another purpose. Like any motorcycle safety gear, gloves are designed to reduce impact on the body during a crash, and keep the skin on your body. The durable material of all clothing is what should be scraping against the road and wearing down – not a rider’s hands. In the event of a crash, I’m sure anyone would prefer to lose a glove rather than lose a finger. As well as protection in the event of an accident, gloves also provide protection from blisters and sunburn. While they may not be as serious an injury as road rash, both are still painful, and can be easily prevented by wearing gloves. While the insulation of gloves keeps away the cold, the ventilated covering of the skin protects from sunburn, as well as providing a soft barrier for the hands to keep blisters at bay. Gloves aren’t just about protecting against negative impact, they are also made to make your ride more comfortable. There is no disputing the satisfaction that comes with a comfortable ride, and gloves are there to make it so. Whether they are thick or thin, breathable or insulated, gloves are there for a rider’s comfort. While they aren’t always the first bit of safety equipment picked up by a motorcyclist, gloves are still an important piece of kit for a rider to have on hand.